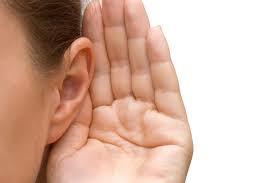 Employers, Are You Listening to Your Employees? There are times when employers find it very helpful and insightful to use surveys in order to understand or get a better handle on the perspective of employees’ issues and concerns. Areas of concern might include employee relations, the hiring process or on-boarding, safety, employee engagement, the work culture, workplace behavior, etc. Such surveys involving employees is obviously a human resources area of concern and can also require confidentiality, anonymity, and/or impartiality. Therefore, using an outside source for this task is definitely understandable and a professional approach. Though information is gathered from the surveys, the use of Focus Groups, led by a human resources professional, allows a facilitator to clarify any area that needs more detail in order to better understand, correct or adjust the situation. With the facilitator being an outside professional, the employees are more apt to speak openly without fear of retaliation or repercussion. The surveys can be customized to include specific questions in order to improve a company’s processes and/or employee relations, etc. Surveys are priced based on multiple factors, i.e. number of questions, number of employees involved, details required for report, time needed in setting up the process, number of reports needed, etc. A meeting is usually arranged to gather all information and details for setting up an appropriate survey, and later a meeting is arranged to discuss the findings and recommendations for the Decision Makers. If needed, Compass Career Management Solutions can also help to address any coaching or support needed for the Leaders as a result of the survey.